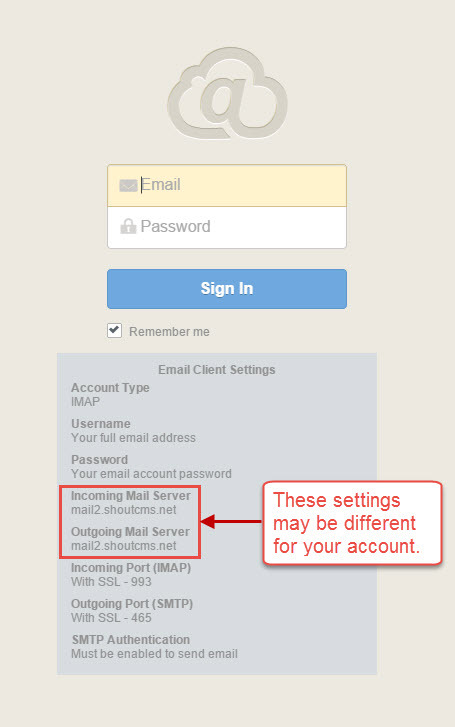 *IMPORTANT: This information only applies if your ShoutCMS Hosting Plan includes email services. Using WebMail is a convenient way to access your email without configuring an email client device. WebMail uses your device's browser to manage email, account settings, forwarding and autoresponder options. Your WebMail is accessed from the following URL "http://webmail.yourdomain.com" (no www's) and entering your email address and assigned email password (assigned to you by your email administrator). How do I change my email password using webmail? How do I setup an autoresponder using webmail? Use an autoresponder when you want to let people who send you email that you are out of the office for an extended period. Policy | © 2016 ShoutCMS. All rights reserved.